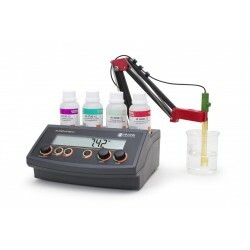 Free yourself from wires when performing pH measurements. 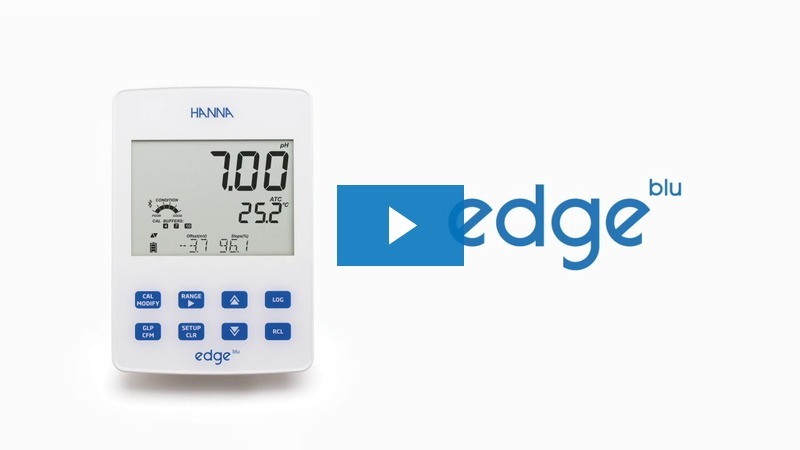 Hanna Instruments is proud to introduce edge blu HI-2202-02, a pH-meter that uses pH electrodes with Bluetooth® Smart technology (Bluetooth 4.0) that connects wirelessly to edge blu HI2202-02 or compatible iPad® running the Hanna Lab App. 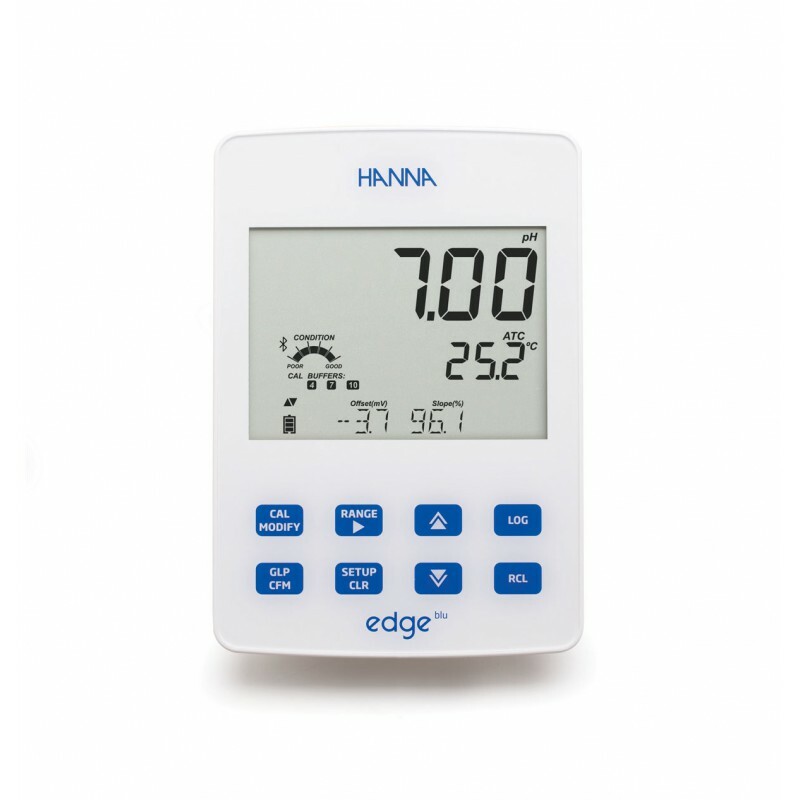 edge blu HI 2202-02 uses Halo™ Bluetooth pH electrodes with a built in temperature sensor to send measurement data wirelessly to the meter or iPad running the Hanna Lab App. 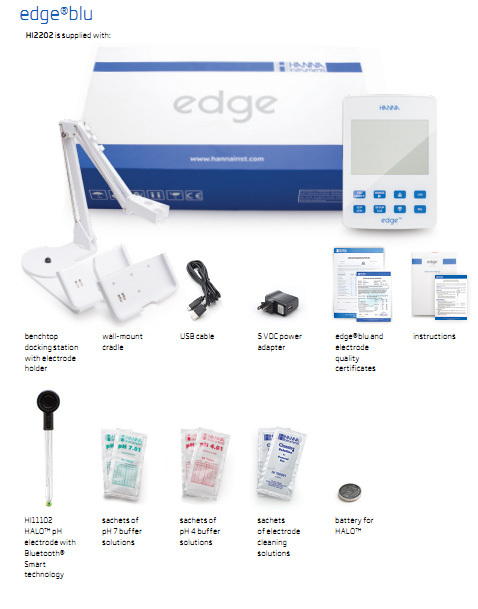 edge blu features advanced pH electrode diagnostics to ensure worry free measurements. Diagnostics include Hanna’s exclusive CAL-Check feature that alerts users to potential problems during calibration. edge blu features a capacitive touch keypad that gives a distinctive, modern look. 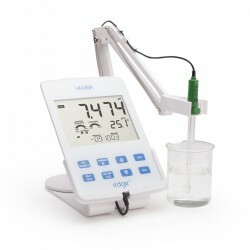 The keypad is sensitive enough to be used with laboratory gloves and has a fast response. Since the keypad is part of the screen, there are no buttons buttons to get clogged with sample residue. 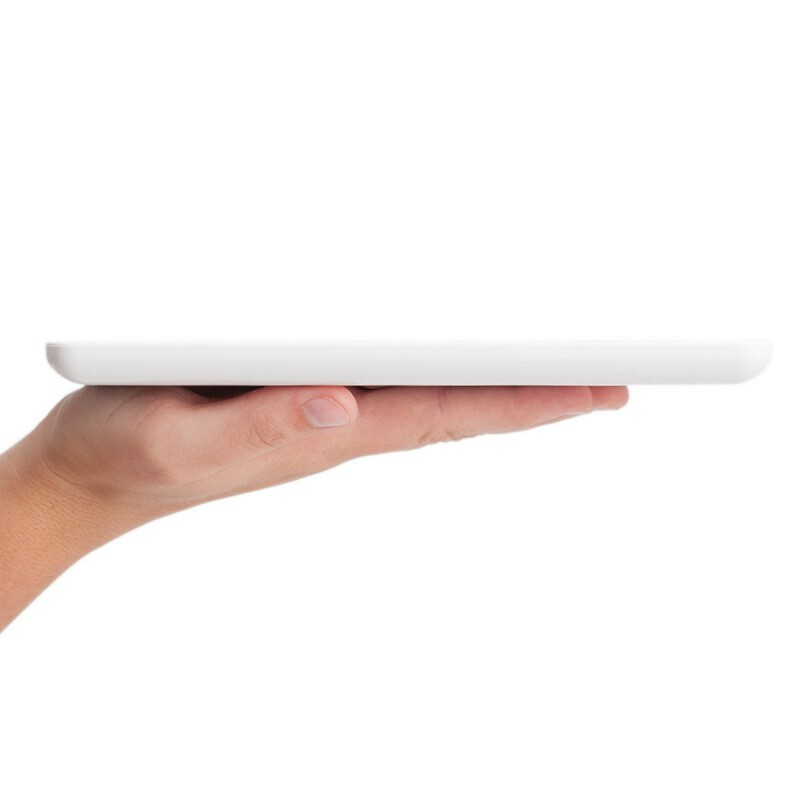 The edge blu is thin and lightweight, measuring just 0.5” thick and weighing less than 9 ounces. edge blu has an incredibly wide viewing angle, 5.5” LCD and a sensitive capacitive touch keypad. edge blu is simple to configure, calibrate, measure, log and transfer data to a computer or a USB drive. 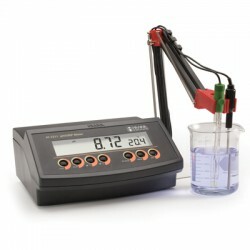 This meter features Hanna’s exclusive CAL Check™ to warn if the Halo pH electrode being used is not clean or if your buffers are contaminated during calibration. 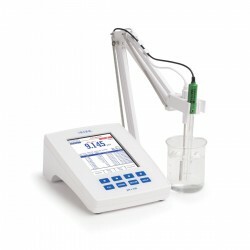 An Indicator is also displayed after calibration showing the overall probe condition that is based on the offset and slope characteristic of the pH electrode. 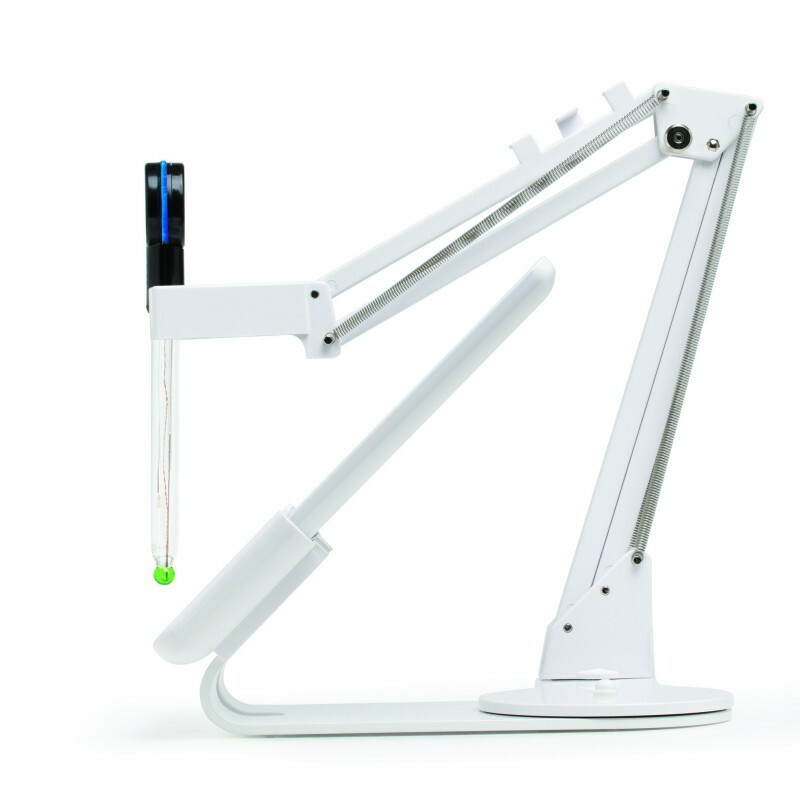 The versatile design of edge blu makes equally at home in your hand, on a lab bench or mounted on a wall. edge blu features an LCD that measures 5.5” and is clearly viewable from over 5 meters. Add to that a wide viewing angle of 150 degrees and you have one of the clearest LCD’s in the industry. In addition to its large LCD, edge also features full text guides displayed on the bottom of the screen. There is no need to decipher scrambled abbreviations. edge blu uses Halo Bluetooth digital pH electrodes. Once a probe is connected all sensor information including sensor operating specifications and calibration information is transferred. 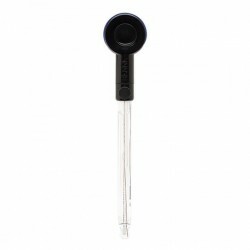 pH electrodes are easy to exchange when you want to change from measuring with one type to another without the need for recalibration. In standard mode edgeblu can be calibrated automatic up to 5 points with 7 standard buffers (1.68, 4.01, 6.86, 7.01, 9.18, 10.01, 12.45) and 2 custom buffers. The GLP data can be review at anytime at a push of a button. 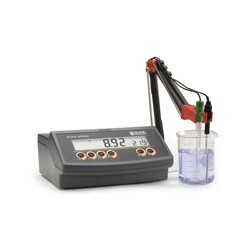 GLP data includes, date, time, buffers, offset and slope of the last pH calibration. 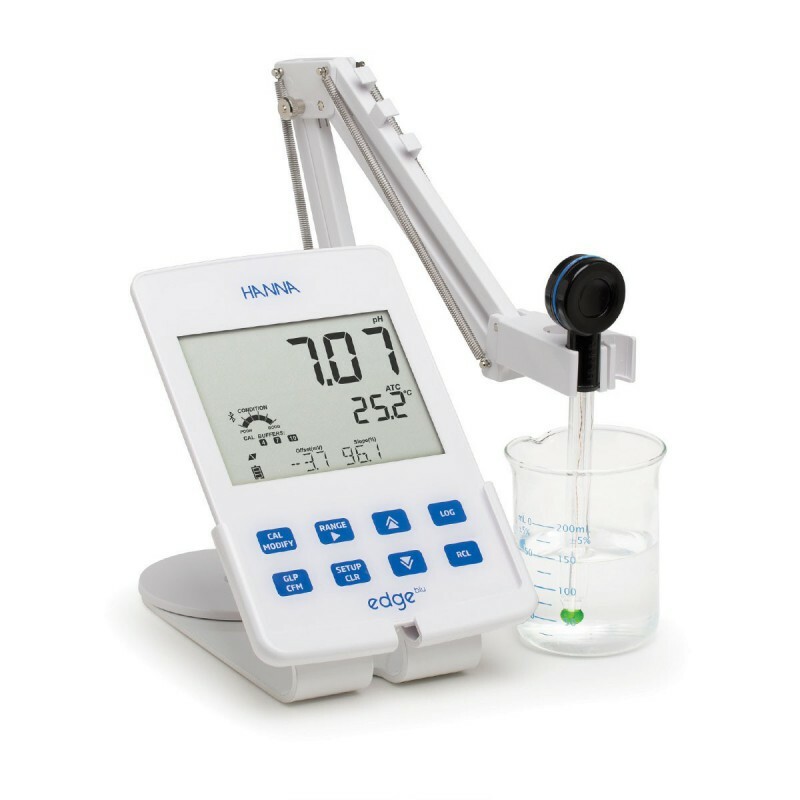 Hanna’s exclusive CAL-Check feature analyzes the pH electrode response in the pH buffers during the calibration process to alert the user of potential problems. Indicators include contaminated buffer and clean electrode. After calibration indicators for probe condition is displayed on the measurement screen. 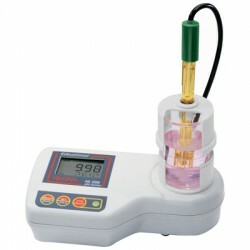 The probe condition is based on offset and slope characteristics of the pH electrode. Log on Demand, Log on Stability and Interval Logging modes are available. Up to 200 data points can be logged on demand and an additional 200 data points for samples logged upon a sable reading. Interval logging is adjustable from 5 seconds to 180 minutes. Up to 600 records can be stored in a maximum of 100 interval lots. 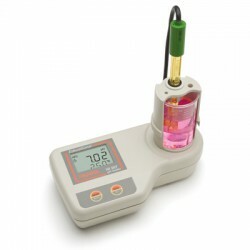 Logging modes can be started from the meter or by simply pressing the button on the HALO pH probe. edge blu can be connected to a computer or USB flash drive for transferring logged data. The micro USB port can also be used to charge the meter.